Celebrate good times! 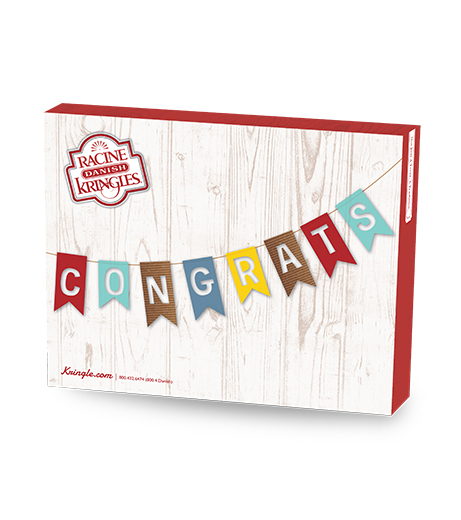 Whether someone is celebrating a graduation, a promotion, a baby's arrival or a new home, say “Congratulations!” with our custom gift box. 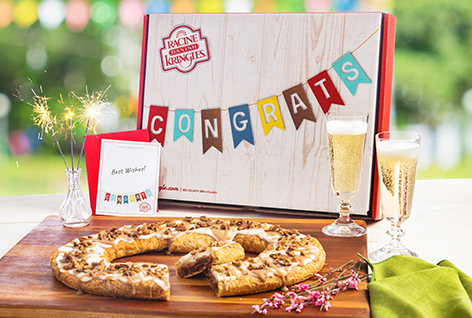 Choose 1 or 2 Kringle flavors to ship to your friend, family member, or colleague. This box comes with a personalized message card in an envelope for that personal touch!